The world’s 50 best restaurants in 2017 are announced. Eleven Madison Park in New York, last year's third best restaurant, ranked at top in 2017. Last year's number 1; Osteria Francescana in Modena – Italy, ranked second in 2017. And last year's number 2 from Girona, Spain; El Celler de Can Roca ranked third in 2017. UNWTO welcomes the agreement reached by the Sustainable Tourism Observatory of Guanajuato (Mexico) and Paraguay to facilitate knowledge and technology transfer. Guanajuato is one of the 16 Observations in the UNWTO Network. The Wine and Beverage Graduate Certificate is the first graduate-level program offered at The Culinary Institute of America (CIA) and recently 19 students in the inaugural class of the new Wine and Beverage Graduate Certificate program completed their studies. 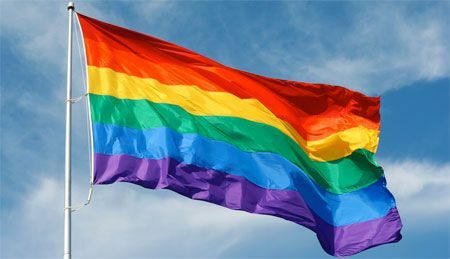 Candidates for the next Secretary-General of UNWTO should hear this or get out of the race as US court rules LGBT workers protected from discrimination under Civil Rights Act. For the first time, a federal court has extended civil rights protections to LGBT employees under the Civil Rights Act of 1964. A new report from the U.S. Travel Association states that international travel to the U.S. actually grew faster than domestic travel in February 2017. The February data is notable because it captures the first full month after President Trump’s initial executive order on visas and immigration, issued January 27. Do you want to experience how it is like to live like elite? Caesars Entertainment launched its “Experience the Empire” sweepstakes that offers Total Rewards members a chance to win one of seven unbelievable experiences normally reserved for the highest level VIPs in the world. On the 1st of March Ministers from Comoros, Madagascar, Mauritius, Reunion and Seychelles sitting as the Indian Ocean Commission (IOC) endorsed the Seychelles bid for Secretary General of the United Nations World Tourism Organisation (UNWTO). The European Central Bank (ECB) unveiled the new €50 banknote, which will enter into circulation on 4 April 2017. The introduction of the new note marks the latest step in making euro banknotes even more secure. At least one person has died and several people were injured including a police officer outside UK Parliament today. Met commander BJ Harrington said that the incident is being treated as a terrorist attack.